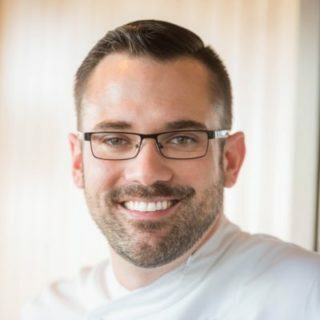 Matthew Beaudin joined the Aquarium’s culinary team as executive chef in February 2015. His approach to food blends cuisine and community, from building relationships with local fishermen and farmers, to building sustainable gardens for orphaned children stricken with HIV. After earning his Associates Degree in Culinary Arts from the Culinary Institute of America, Matthew pursued his passion for cooking by working around the globe, holding chef positions in the Caribbean, China, the West Indies and Rwanda, as well as all over the United States. Matthew has run kitchens at jungle base camps, on private islands, and at restaurants perched 10,000 feet up the side of a volcano. He began his commitment to sustainability and culinary education during his work in the village of Musanze in Rwanda. He continues to maintain strong ties with students in that community. Influenced by his travels, Matthew honed his techniques and expertise back home in the United States at such prestigious five-star/five-diamond properties as the Omni Mount Washington Resort in Bretton Woods, New Hampshire; the Broadmoor Hotel in Colorado Springs; and the Ritz-Carlton in Sarasota, Florida.